I was thrilled to see this home featured in The Washington Post because it's in Alexandria, Va. (where I live), it's gorgeous, and it uses lots of green! 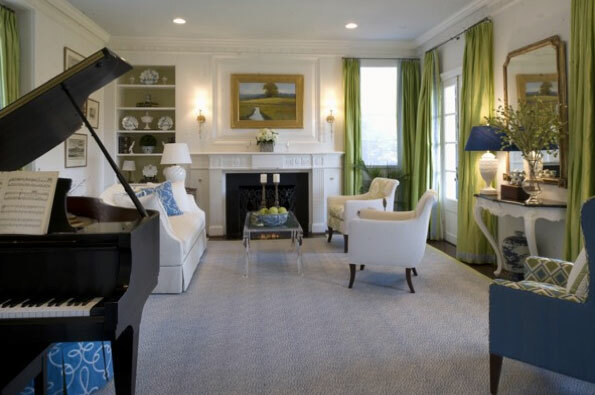 The article has it just right - this is definitely a traditional home with a refreshing youthful twist thanks to the work of designer Kelley Proxmire. Green has been tapped the "it" color for the season thanks to the latest issue of House Beautiful (which is fantastic - go buy it if you don't get it) and the living room and dining room of this home use the color to absolute perfection. This exact shade of green is what we use in our own living room and dining room and I think it looks grand in all scenarios - it makes a room feel classic but young simultaneously. 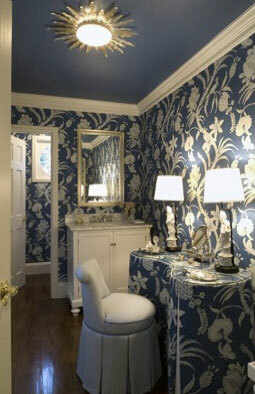 And one of my favorite pairings with this apple green as of late is french blue - like the fantastic bathroom of this home. A flush-mount ceiling fixture can look amazing! Who knew? Check out more of this delightful home over at The Washington Post. I'm all about green and blue! 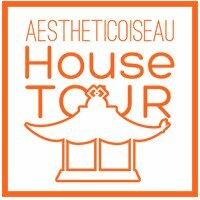 Thanks for sharing such a great house! This is so fresh and pretty. Thanks for sharing. I had a feeling this home was in Belle Haven. My mother used to live there as did I for a short time during college. It is a beautiful neighborhood. These rooms are so stunning. The other day, I was on our site, looking at a very similar wallpaper to the blue and white one you put up; it was Schumacher Leaves in Graphite. I love the stark patterns! Wow, this is gorgeous design work. 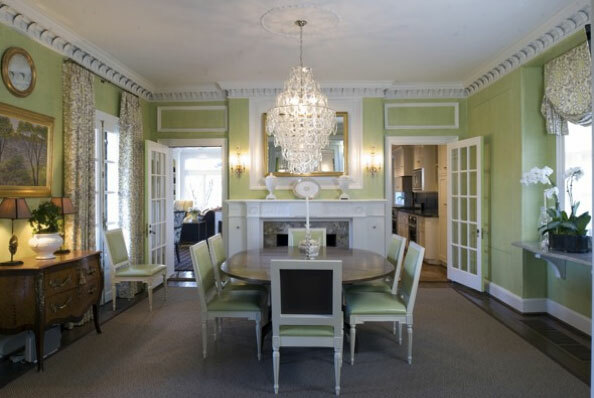 I particularly love the green colour used in the dining room. I wonder which shade/ type of paint they have used?